Happy Monday everyone! 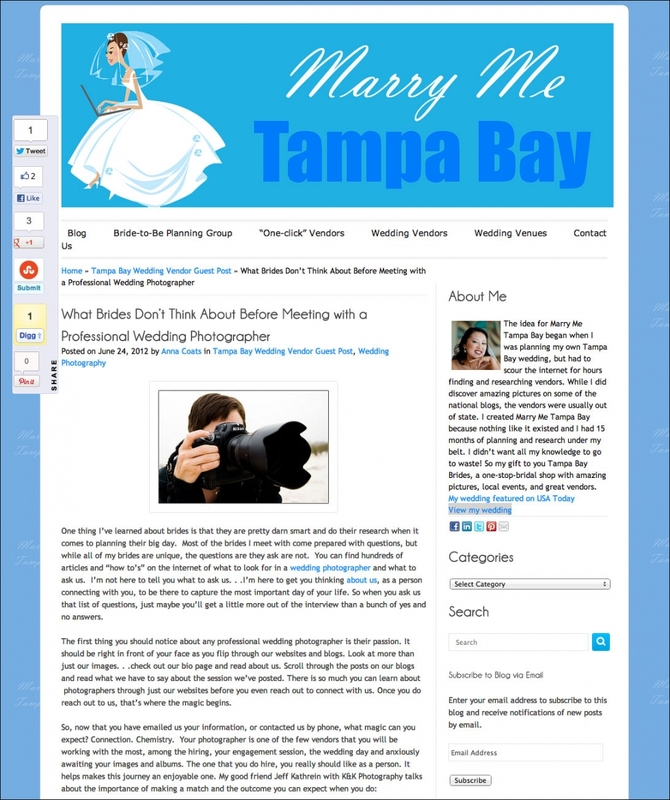 🙂 We recently provided content to the local wedding blog Marry Me Tampa Bay and this morning it was featured! We always enjoy providing our take on the industry and how to better select and work with your wedding photographer. If you’re still on the hunt for yours, check out the post HERE and maybe it will help you make your selection! And for all of you Floridians/locals–stay dry and safe while “Debby” makes her grand exit!